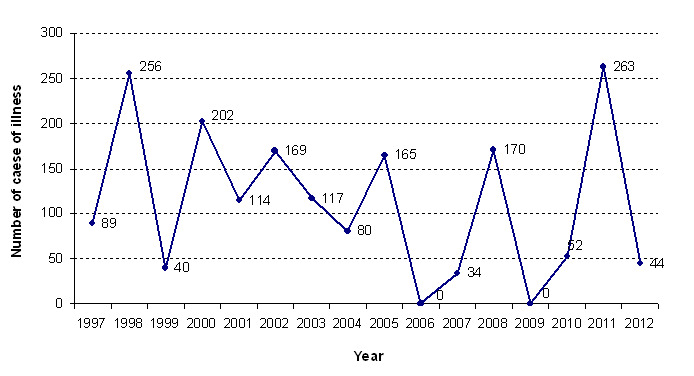 In Slovenia 0-3 waterborne outbreaks were notified annually in the period 1997-2012. 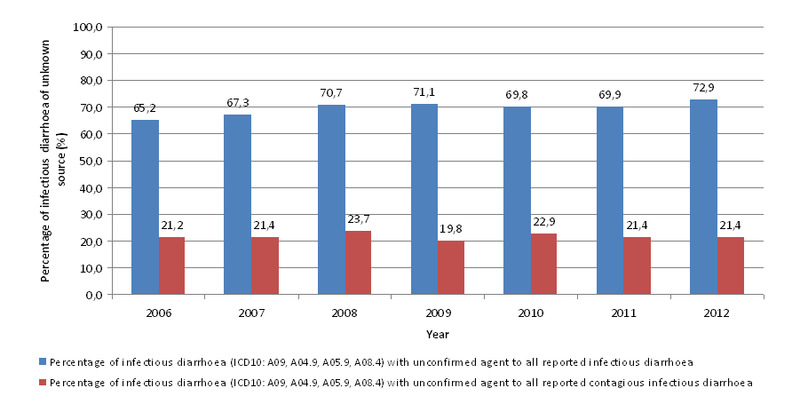 There were from 34 to 263 reported cases in each outbreak. In most of the outbreaks the microbiological agent was unknown. Some outbreaks were caused by Cryptosporidium Parvum, Escherichia coli, Shigella sonnei, Lamblia intestinalis, rotavirus, adenovirus, astrovirus, kalicivirus, norovirus and hepatitis A virus. 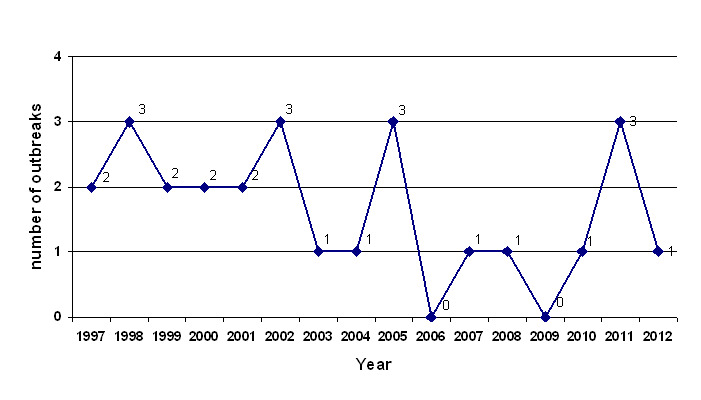 National Institute of Public Health, 1998-2013. National Institute of Public Health, 2007-2013. 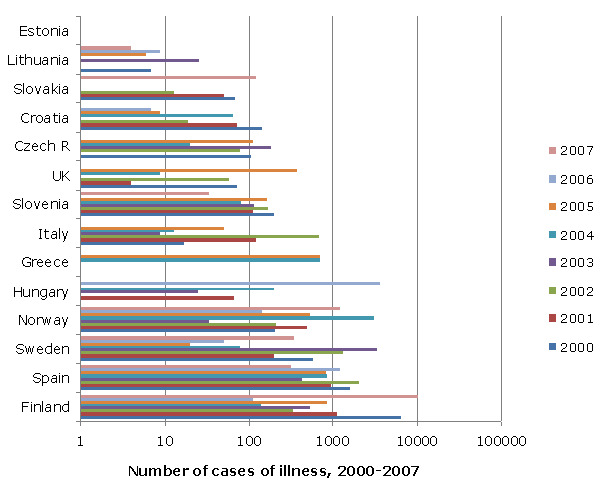 The European Environment and Health Information System (ENHIS),2013.